It is amazing to watch how nationalistic Canadians get when there is a spat with the American White House, especially one controlled by a Republican. Canadians hate Republicans even though Democrats are normally far more protectionist and screw more with Canada’s trade. Trump is an anomaly on this front, he is much more like a blue collar, Democrat, union leader than a free trading Republican. It’s likely why Trump and his allies will do better in the mid-terms, especially in so-called rust belt states that many predict. Voters in America are liking what they are getting. Trump’s approval rating is at 49% higher, albeit slightly, than Obama’s approval rating at the same point in his presidency. Unemployment is low, jobs are up, wages are up, the economy in the US is strong. So what does this have to do with Canada, tariffs and that stupid, stupid decision to leak to CNN? We have to remember that Donald Trump is not the President of Canada, he doesn’t really care about us, he cares about his voters. We don’t vote him, he owes us nothing. Trump is doing what he thinks is best for his country. We can disagree with his choices and I disagree strongly on the tariffs, but I live in Ottawa, Ontario and not Ottawa, Kansas so my views don’t count to him. I do agree with Trudeau’s decision to respond in kind with tariffs of our own even though it will hurt Canadian consumers. In dealing with Trump you can’t show weakness, you need to show strength. But there was no show of strength in cowardly leaking and then walking back details of a call between Trump and Trudeau. As I detailed here, the leak to CNN’s Jim Acosta obviously came from, or was at least framed up by a Canadian official. I’ve been asked how I know it is a Canadian. Well, it is in the article, it was in the writing. And I’ve been around government at this level long enough to know that this wasn’t loose lips, this was planned. Someone thought trying to embarrass Trump by telling Acosta that he invoked the War of 1812 in a serious way to justify the tariffs was a good idea. It wasn’t. I’ve been saying since the tariff issue started that Trudeau and his team need to figure out what Trump wants and see if there is a way to give it to him while also getting what we as a country want and need. Access to the American market. For some reason Trump seems to really like Trudeau. He is also drawn to celebrities, which Trudeau is. Additionally, Trump likes face to face meetings and being charmed. 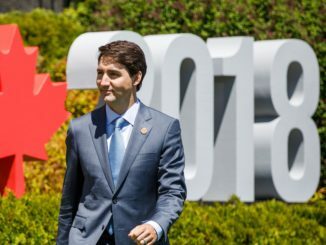 Our goal should have been to get Trudeau into a room with Trump, sweet talk him and get a deal for Canada. Leaking a juvenile story to Trump’s most hated reporter and his most hated network, that is just silly. I may be a harsh critic of Trudeau and his team on their policies but I don’t think they are a bunch of idiots. They are smarter, or should be smarter, than that dumb, dumb move yesterday. I mentioned off the top that Canadians can be incredibly nationalistic in instances like this. In truth we can be nationalistic in a way that we would, as a group, mock the American for. And boy have I seen that. While I’ve had plenty of support for my criticism of Trudeau’s dumb leak, I’ve also been called a traitor, a Trump lackey, a GOP shill and more. The name calling doesn’t bother me, it is a daily occurrence on social media. What bothers me is the way people become unthinking on issues of cross border trade with the Americans. Trump says he thinks Canada is unfair in certain areas and we lose our collectivist little minds, oblivious to the fact that we protect industries the Americans do not. Ever notice that the Boston Bruins play in TD Gardens but that there aren’t any Citi Bank Fields here is there? As I always say, no country is a pure free trader, no country is an angel on this file. Trump wants something. Skip the negotiations, get Trudeau alone in a room with him and find out what it is and if we can give him that while also scoring a deal for Canada. That would be far more productive than what Butts and company were up to yesterday. I do not for one sec think that Trudeau gives two beans about our ECONOMY, safety and security. This man is all me me me. He has proven it through many actions: his profound support for terrorists and their rights to keep their citizenship than having them deported or put in prison. He also supports ISIS return to canada- not to imprison them for treason but have them roaming among us law abiding citizenship creating an atmosphere of fear particularly for muslim women and all women for that matter. I am positive that the president is well versed on Trudeau’s gov lack of security that will hamper USA security. Donald Trump is the president of the USA not of canada and he has every right to protect his country and his citizens safety first and foremost and I commend him for it. Not this narcissist arrogant selfie selfish and terrorist supporter Justin trudeau and gov. I do not Trust Trudeau period. What’s bothersome is that the lib mps never took action against Trudeau for their own constituents’ safety. 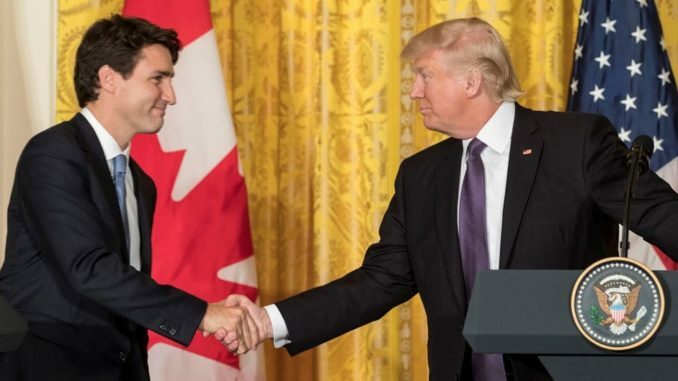 President Trump has done more for his country in a short time in office than Trudeau ever did since he became PM. Trump appears to be for the American working man. 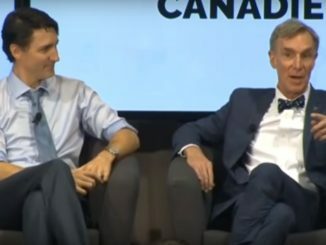 Trudeau appears to be for a New World Order. Two or was it three pipelines shut down? Ending future revenues and jobs for more than 30 Native bands in BC. Ban on Tanker loading on the west coast…. 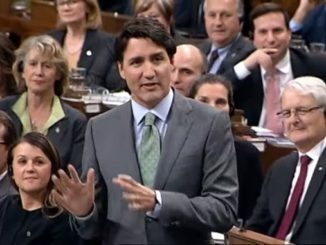 As of Saturated seeing that the three Conservative leaders Kenny, Scheer and Ford now pledge to help Trudeau fight Trump – So whose leading who? Sorry this isn’t accidental this looks like a Business case from a PM beholding to his NGO supporter George Soros – supported by useful idiots .